S.L. 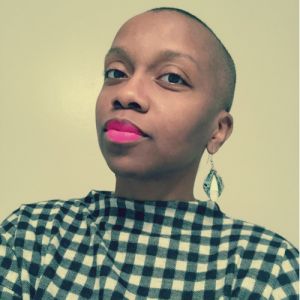 McDonald is a self-published author, graphic artist, and mobile application developer living in Woodbridge, VA. As a child, she was fed a steady diet of B-movie horror flicks by her aunt and those fun and wildly original stories have come to shape her writing style. Her motto is ‘No idea is too off-the-wall’ and she enjoys the challenge of turning her fantastical daydreams and most startling nightmares into works of fiction. Her background in writing includes a B.F.A. in Dramatic Writing from New York University. She was also named as one of NYU’s recipients of the Waldo Salt Undergraduate Screenwriting award. I love the written word. I always have since I was in elementary school and was tasked with crafting a short story. It was my first and because I had been fed on a steady diet of B-movie horror flicks by my aunt, my imagination always skewed a little dark. I wrote a story about a young girl that cast a spell in order to be beautiful but it backfired and instead, turned everyone into zombies. Much to my delight, I got an A and that is what started me on my literary journey. I think my best ideas come to me in my dreams, particularly my nightmares. They are often so vivid and full of very rich imagery. And often, the things that appear in our dreams are so unique that it becomes a great starting place for a fresh and unusual story. I outline my stories but I can also get stuck in that place if I am not careful. I am learning to create a less restrictive outline because stories often evolve as I write them and I don’t want to limit what it can become. For example, where The Wronged started and what it became are a million miles apart and it changed a great deal in my 100 or so drafts. However, I am proud of it and I am glad that there were some ideas about it that I let go. Outside of outlines, what helps me to write is mood music. If I find a song that really works as a soundtrack for whatever it is I am writing at the time, I tend to hum it all day long and it really helps keep the story world alive in my mind. I don’t necessarily talk to my characters but I do listen to them. With The Wronged, they really became real people to me and instead of telling them what to do, I simply wrote down what they were doing. I followed them and simply put to page their journey. I would say to authors that you should never be afraid to write something that seems strange to most people. That you should follow your interests and not necessarily follow a marketplace or write books that you think a reader will like. It won’t come from genuine place and I think readers are savvy enough to see the disconnect. They can definitely sniff out writing that is void of passion or personal connection. To readers, I would say not to let the term self-published keep you away from a book. There are a lot of really talented authors that put in a lot of work to tell an amazing story who opted to cut out the middle man. It does not always mean that the book lacks in quality. It was definitely divine inspiration. Over the years, I have found myself working for self-starters. Since I’ve left college, by happenstance, I’ve found myself working for people who started their own businesses and grew them successfully. I think that inspired me quite a bit. It allowed me to see that most businesses and great ventures start with ordinary people and great ideas and what separates the success stories from the failures is the amount of belief one has in oneself and the amount of hard work a person is willing to put into getting their product out into the world. Plus, I did not want to wait for someone to tell me that I was good enough. I was certain I was and that was all the assurance I needed. I think more authors will start taking the reins over their works and I think that is exciting. I think it creates an opportunity for authors to have a more direct and intimate relationship with readers and to tell the kind of stories they like without the restrictions of a middle man.